Italian Neorealism, a national film movement that had its wave during the 40s and early 50s, was popularized by directors like Roberto Rossellini, Vittorio De Sica, Cesare Zavattini. Their films depicted the intricate economic and social conditions of post-war Italy. 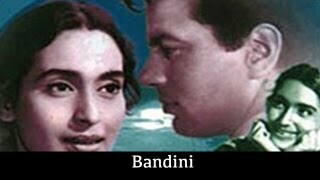 Back in India, a Bengali director by the name Bimal Roy took inspiration from these films and experimented the style in Indian background. The upshot was an array of romantic-realist melodramas that changed the course of Indian cinema. Humrahi (1945) was the directorial debut of Bimal Roy in which an ordinary story of a poor boy and rich girl was turned into a classic with very many social dimensions. The male protagonist Anup, played by Radhamohan Bhattacharya, became a symbol of social protest against deep-rooted inequalities. Roy’s celluloid narrative exposed the injustices practiced by the capitalists against the working class. The film was a remake of Roy’s own Bengali film Udayer Pathey (1944). Roy also played the role of cinematographer and co-writer. The film used Rabintranath Tagore’s Jana Gana Mana before it became the national anthem of India.